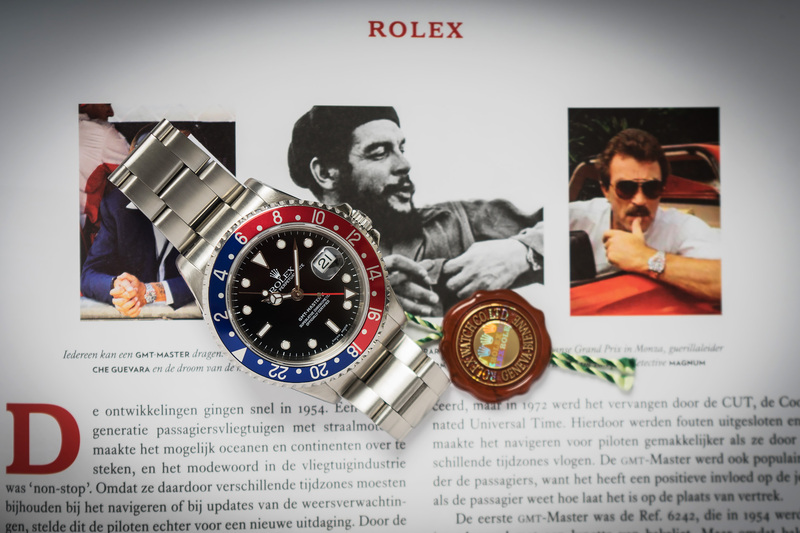 We love ‘Full Set’ Rolex watches, we’re always on the prowl for perfect Rolex’s with their original boxes and papers. 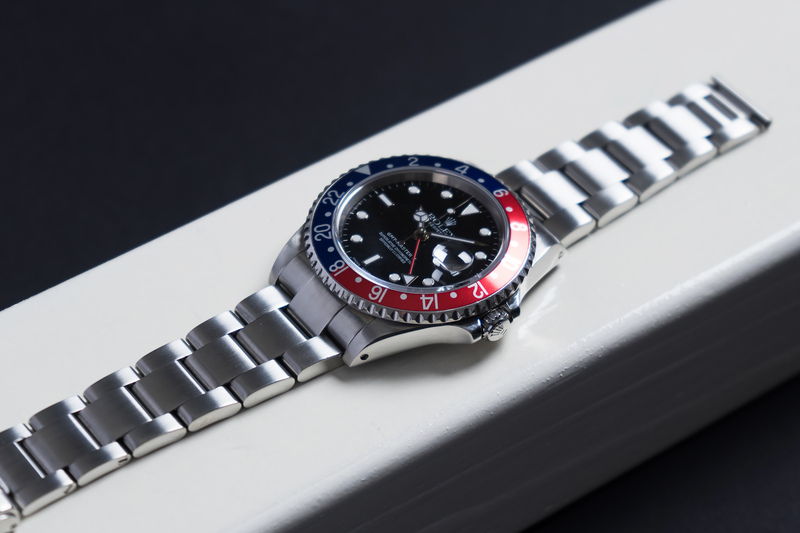 Unfortunately this doesn’t happen all the time but today we can offer you another one of these so called Full Sets – This time its the ever popular Rolex GMT Master II, reference 16710! 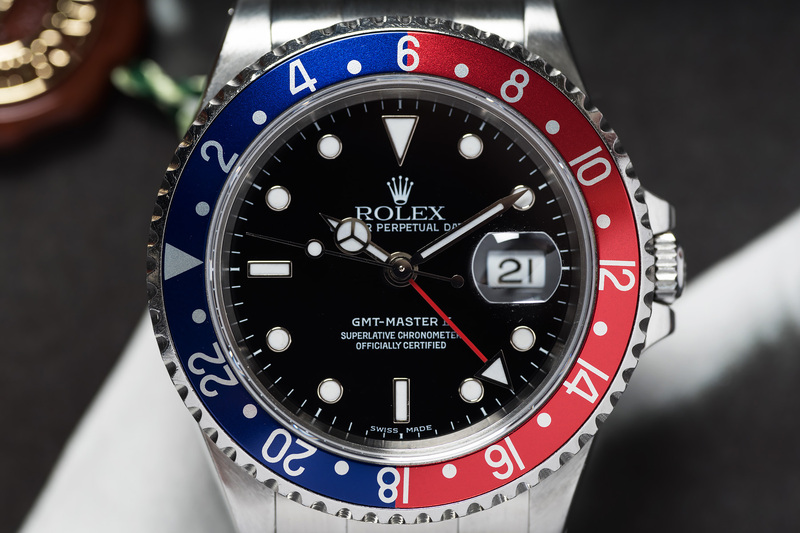 The watch we’re offering here came to us through a trade-inn and is a Rolex GMT-Master II reference 16710 with the desirable ‘Pepsi’ bezel! 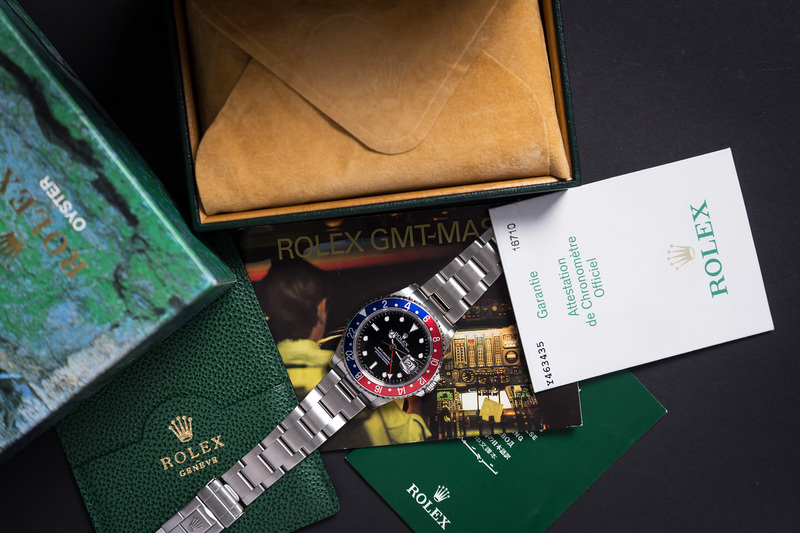 This GMT is offered with the original inner and outer box, punched warranty paper, service invoice, hangtags, booklets and spare link. The watch is in a very nice and clean condition – no major dents and/or scratches were present on the watch at the time of trade-inn. Of course the watch was serviced by our watchmaker and right know the GMT is once again in a fantastic condition! The center-case, with pinholes, is nice and thick while the bracelet shows little to no stretch. The black glossy dial is simply immaculate while the white gold edges around the hour-markers and all the hands are perfect – no damage whatsoever! 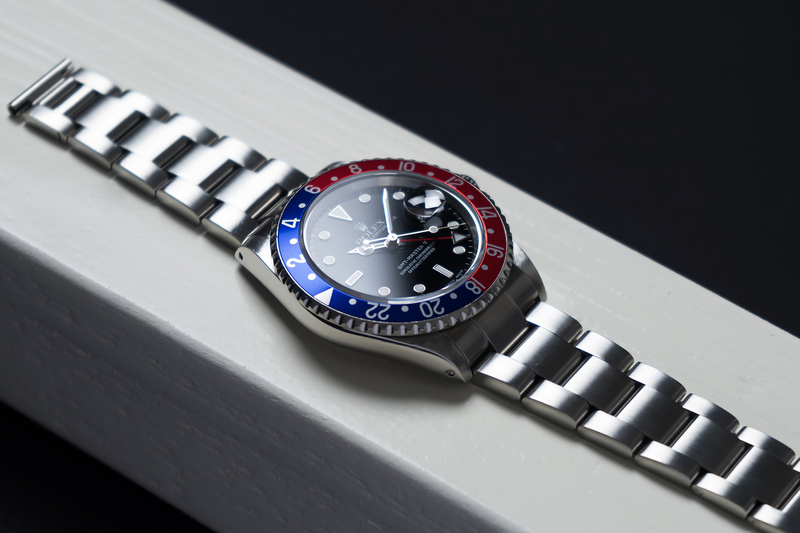 The steel bezel with its bright ‘Pepsi’ inlay is as good as unpolished and shows strong and sharp edges all around. 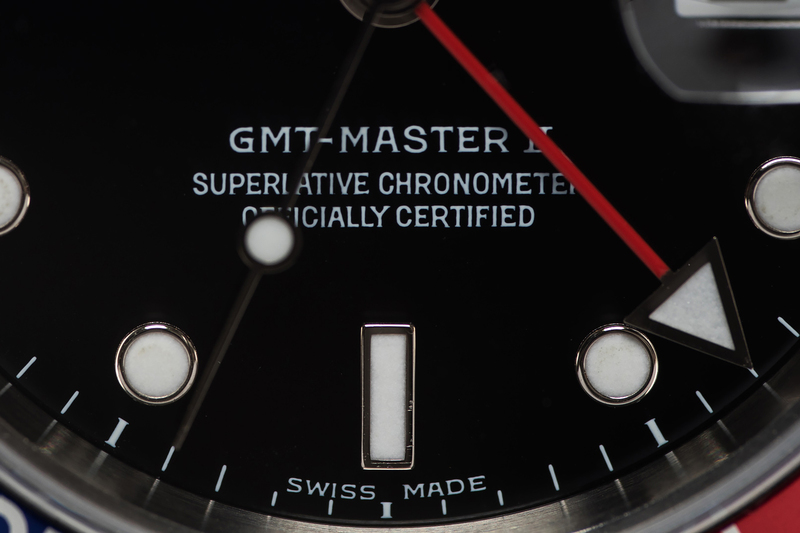 This GMT II was fully serviced and waterproof tested by our watchmakers and will be delivered with a 12 month warranty. These 16710 GMT’s are a future vintage Rolex in the making, so don’t hesitate to long!